Divided into forty lessons, you can use these guides in a variety of ways to grow in holistic discipleship. Explore these guides on your own or with others and experience God's transformative work. 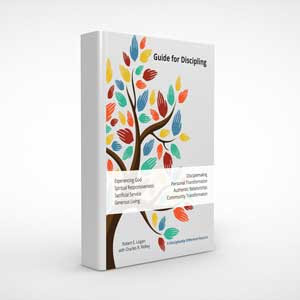 Guide for Discipling is available as a complete set of guides in print, and as a set or individually via download. Is every person living, growing and multiplying together as disciples of Jesus who demonstrate the Kingdom of God among all peoples. Is catalyzing leaders to accelerate their movement toward this vision.